Looking for admissions?? But confused what to do?? Scores are not good enough to get admission in your dream college. No worries, you are at the right place. We help you in your journey to get admission into RV College of Engineering. Your search for the college ends here. We provide Direct admission in RV College of Engineering through Management Quota and vacant seats. We provide the best for you so that you can excel in your career. 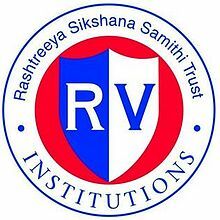 Rashtreeya Vidyalaya college of engineering is a private college in Bangalore,Karnataka. It was established in 1963 and is affiliated to Visvesvaraya Technical University. The college has 11 departments and is a well established college of India. The college has collaborated with many companies and students get the opportunity to work with the leading institutes in the projects. The projects are supported by Indian Space Research Organisation and Society of Automotive Engineers.RVCE is accredited by the AlCTE and the departments are accredited by NBA. Admission in RV college of Engineering not only provides you the quality of education but also a environment to grow apart from your academics. There is a healthy environment to nurture the students so that after graduation they will be industry ready to take on the right job according to their skill and aptitude. Campus Placement- College provides on campus placements for the students. Companies like oracle, microsoft,dell,google,delphi,yahoo,IBM,sasken hire students of this particular college. Student Activities– Many college festivals one among them is the 8th mile, departmental events, cultural activities, sports, literary and language awareness program in which the college has one of the best debating societies in india and many entrepreneurship programs. Student Projects– Some of our students collaborated in the project of pico satellite called STUDSAT by ISRO, in SAE events, IEEE events and many other projects. Notable Alumni- Mr Anil kumble is one of our alumni, Ashok kumar chairman of HAL, Mr Arun tiwari one of the founder of hortonworks. To give the best to you RV college provide the students right opportunity to grow in life. Direct admission in RV college of engineering is the right opportunity for you to grab and have a wonderful career ahead. These departments offer four year undergraduate courses in engineering. All of the undergraduate courses have been conferred autonomous status by the Visvesvaraya Technological University. Every dream is a worth, and we believe to achieve it you have to create the path, so contact us to know more. Call us on 07406010001 to get Direct Admission in RV College of Engineering through Management Quota.